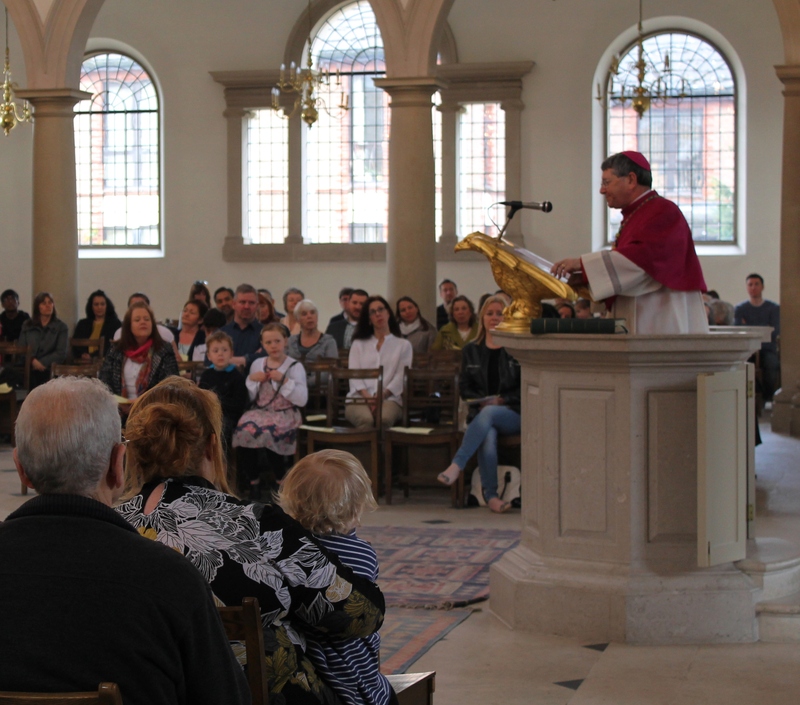 The Ordinary of the Personal Ordinariate of Our Lady of Walsingham, Mgr Keith Newton, preached at all Masses in Brentwood Cathedral on Sunday 30 March. His visit formed part of a wider Friends of the Ordinariate appeal, which took place in the parish on the same day. Mgr Newton had been invited to preach at the Cathedral by the Rt Revd Thomas McMahon, Bishop of Brentwood, and Fr Martin Boland, Dean of Brentwood Cathedral. As well as preaching at all the Masses, the leader of the Ordinariate also celebrated the 11.30am Solemn Mass. Mgr Newton also referred in his homily to the scriptural readings for the Fourth Sunday of Lent. He said that the ‘man born blind’ mentioned in the Gospel received not only his physical sight, but also the “sight of faith”. He was enlightened by Christ, and therefore “saw more clearly than the ‘blind’ religious leaders of his day”. Referring to the epistle, he said that those who have joined the Ordinariate “are trying to discover what the Lord wants of them”. One of the things that the Lord wants is that his followers “may be one” and the Ordinariate is a concrete sign of Christian unity.